We rounded up a stunning collection of enchanted forest themed wedding cakes to help you find out the one that best represents you and your theme! Modern two tier in spring crocus and gold foil wedding cake by Cakes 2 Cupcakes. 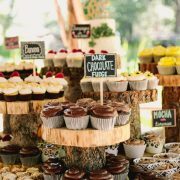 Woodland receptions are “in” this year and to help you make the best decision, here’s a stunning roundup of enchanted forest themed wedding cakes! Take your pick of summer, spring, fall or winter woodland cakes or choose some forest themed wedding cakes for your indoor reception! 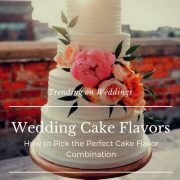 A wedding cake is the grand centerpiece of most wedding receptions and woodland weddings are no exception to the rule. 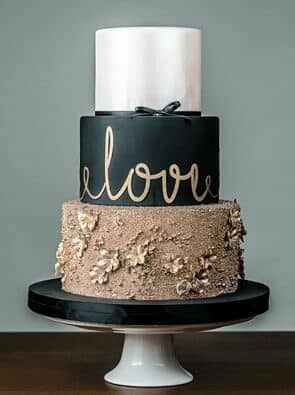 If you decided to get married in the forest, in a secret garden or have a forest themed reception, these amazing cake designs will help you choose yours. How are enchanted forest themed wedding cakes different from others? They evoke emotions of a fairytale woodland with their designs. They may incorporate branches, flowers, ferns, autumn berries, butterflies and forest creatures, ivy, vines and woodland foliage. Which ones to choose? It depends on the time of the year. So, let’s take a look at the enchanted forest cakes for summer, spring, winter and fall! Everything about your wedding is inspired by nature. Keep it colorful — enchanted forest themed wedding cakes may be embellished with flowers, summery ferns, vines, or fruits. You can glam them up with delicate touches of edible gold foil. Or you can watercolor a tier or two. Check out these incredible enchanted forest themed wedding cakes, a perfect fit for a summer woodland wedding. 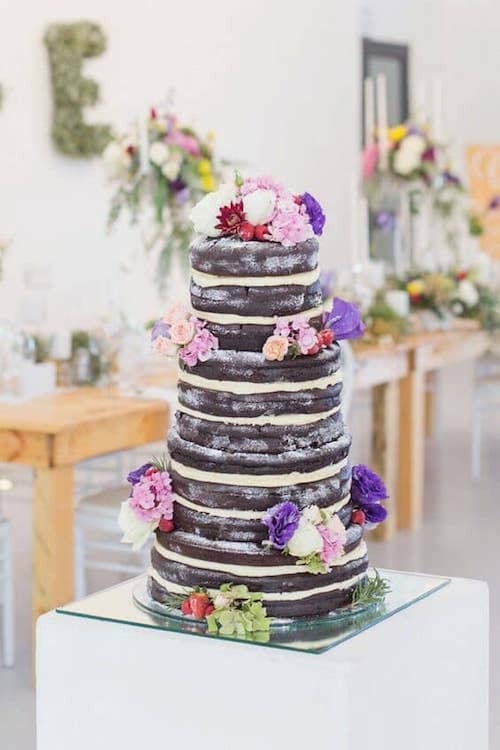 Love the contrast of the moody color palette against the white wedding cake! Photo: Jonnie and Garrett. 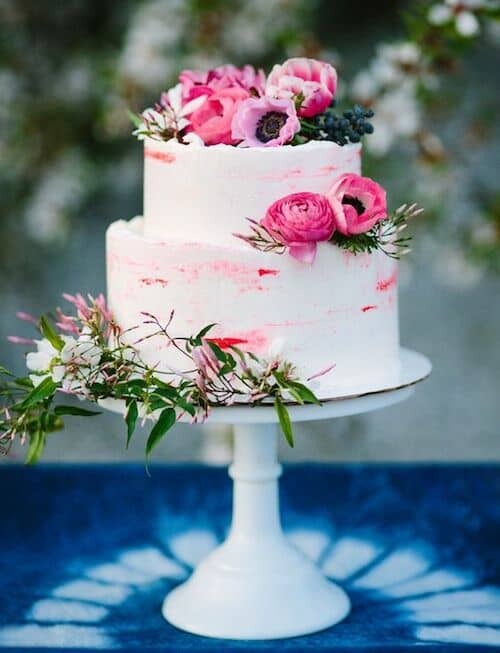 Bright pink cake for an intimate wedding ceremony. Photo: Samantha Dapper and Mary Costa Photography. 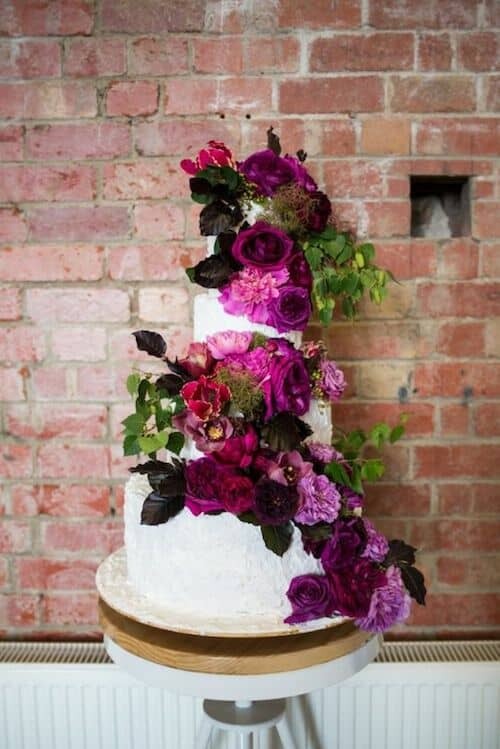 Traditional three tiered wedding cake with fresh flowers in magenta and plum that spells summer in the forest. For a Spring enchanted forest wedding these delicate confections range from soft pastel colors to vibrant hues. Romantic brides may add sugar butterflies to their woodland wedding cake, gum-paste buds or flowers. After all, it’s the season where everything blooms, let the spring bloom on your cake. Go with fresh and fruity flavor combinations like a blackberry lavender cake or a delicious raspberry vanilla filled drip cake. 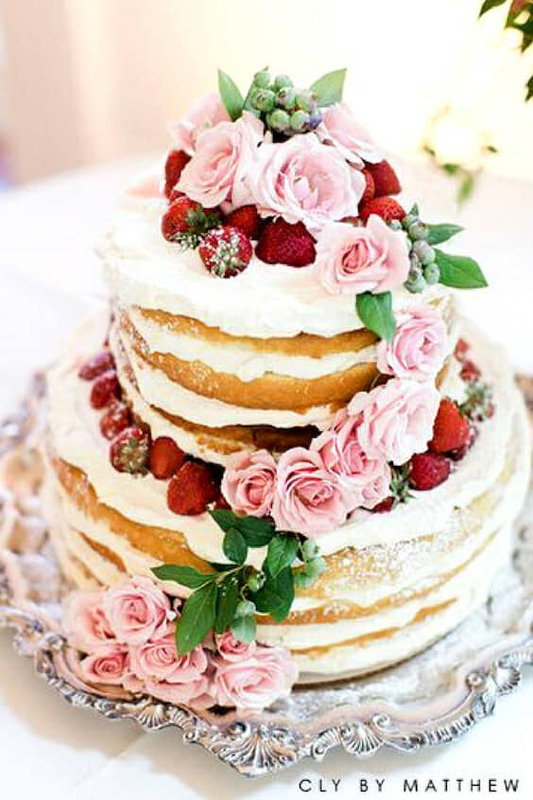 Or forget the enchanted forest themed wedding cakes altogether and delight your guests with small lemon lava cakes with mint leaves and strawberries. Drip cakes will steal the show. Elegant enchanted forest themed wedding cakes with floral and greenery toppers. Decadent mini lemon lava cakes with a molten lava gooey center. 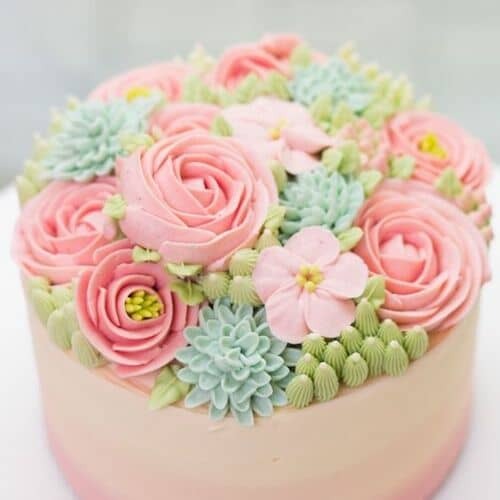 Delicate buttercream flowers on a springtime cake! There’s a kind of spell that autumn casts on a forest. A certain peace and tranquility that is reflected on these enchanted forest themed wedding cakes. 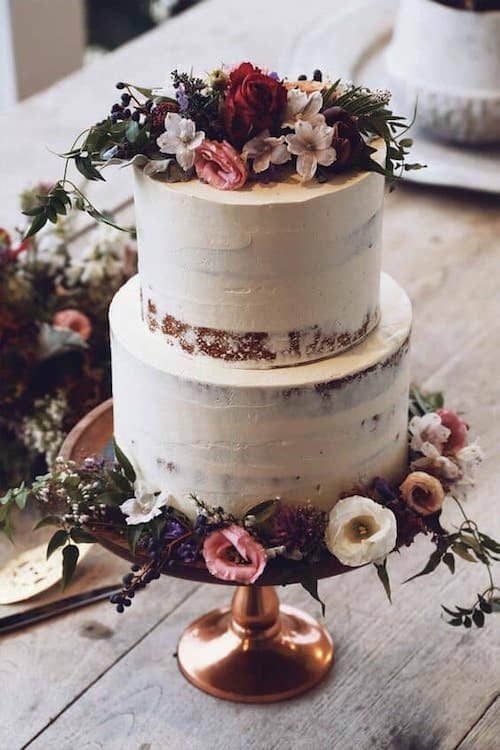 An abundance of half-naked or half-dressed, buttercream and drip cakes, metallics and detailed piping and decorative elements like oak leaves, woodgrain, and woodland foliage. 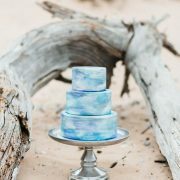 Deep moody colors surround half naked enchanted forest themed wedding cakes. 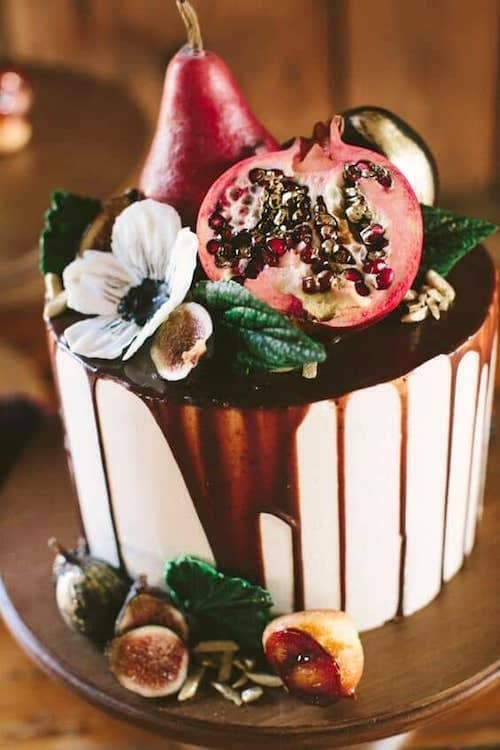 Autumn enchanted forest drip wedding cake with figs, pears, pomegranates and posies for an intimate outdoor ceremony in Maine. Cake by Erin Gardner. Photo: Henry + Mac Photography. Some enchanted forest themed wedding cakes may even go “naked,” decorated only with colorful autumn berries. 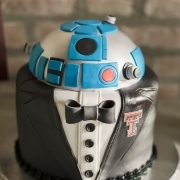 This is just a tiered cake without any icing and you can see the filling in between those delicious layers. Of course, nobody would say no to a chocolate ganache cake topped with berries, amiright? 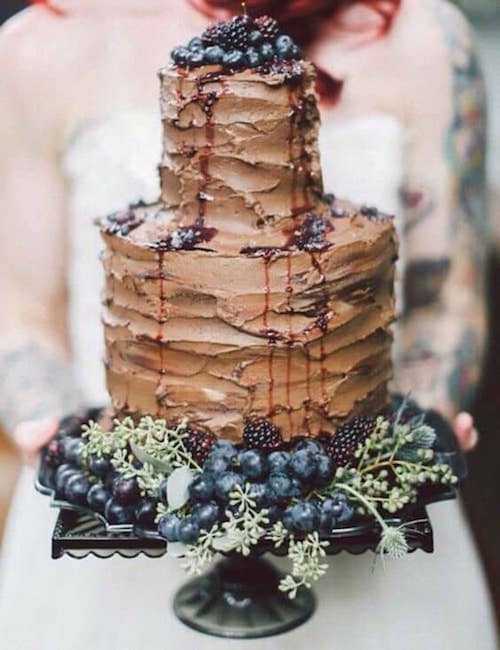 Tree bark Belgium chocolate drip cake with blueberries and currants for a winter woodland wedding. The addition of metallics to this forest cake makes all the difference. Absolutely mesmerized by the bottom tier that bears some elaborate work with oak leaves and roses. Mountains, snow, forest creatures, birch trees and all things winter…they all relate to a winter woodland wedding, and there are some gorgeous cakes to go with that! 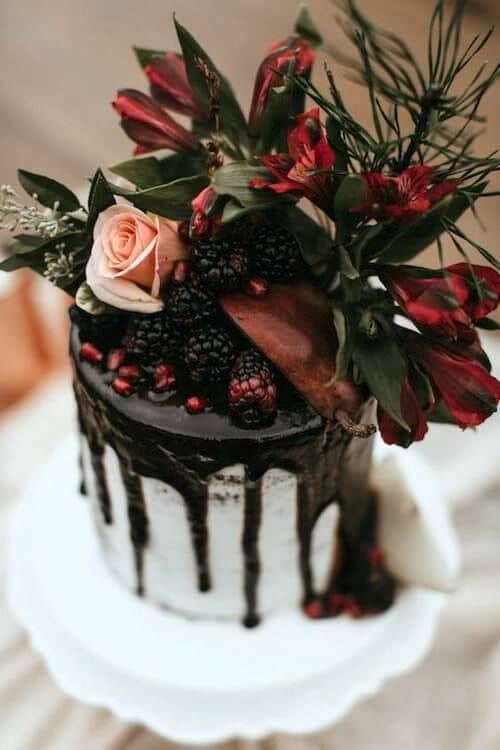 From drip cakes decorated with moody-colored flowers to cakes that look like tree bark with the couple’s initials carved on the icing, there is something for all winter-loving couples. 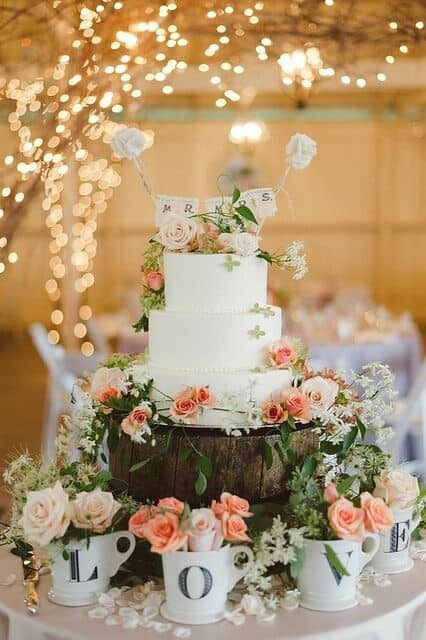 You can even set your cake on top of a piece of wood to add to the rustic feel. 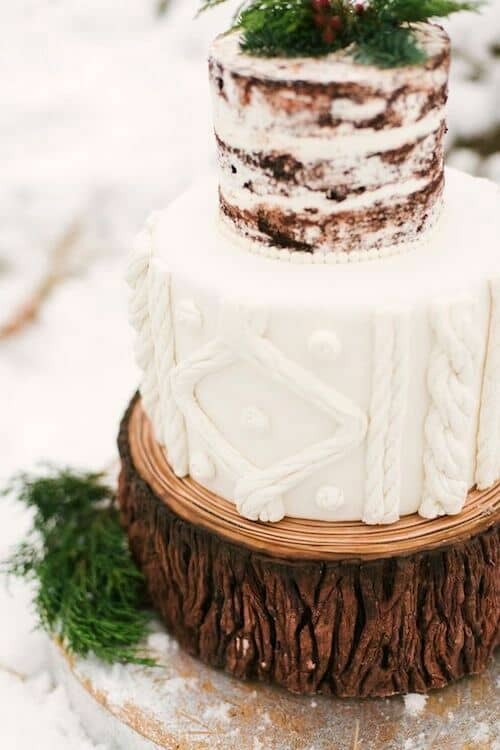 Winter enchanted forest themed wedding cakes. Photo: Alicia King Photography. Enter the buttercream. This mixture of butter and powdered sugar holds its shape during the cold winter months. 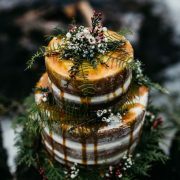 Peppermint and double-chocolate, spiced pear, brown butter spice with cream cheese & maple buttercream were some of the favorite winter enchanted forest themed wedding cakes last year. What flavors will you choose this year? 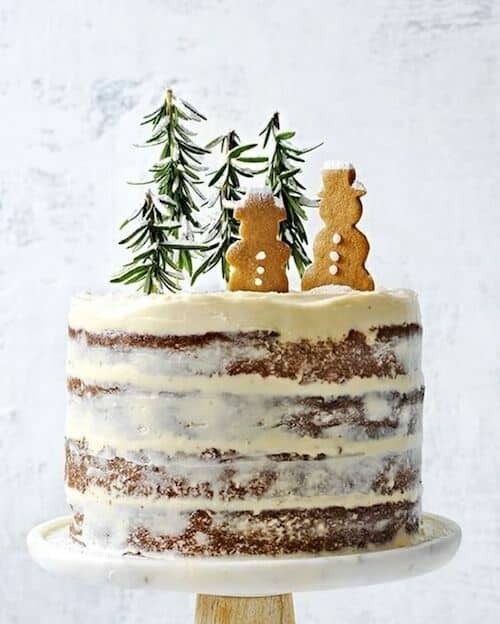 Winter cakes like this hazelnut and brandy forest wedding cake. Winter sets the tone with this berry red drip enchanted forest themed wedding cake. Photo: B. Matthews Creative. If you are hosting a woodland-inspired wedding indoors, you can still boast one of these magnificent enchanted forest themed wedding cakes. Always pick one of more of these elements for your forest-themed cake: branches, flowers, butterflies, birds and other forest creatures, ivy, vines, woodland ferns and foliage, succulents, sprigs, berries, woodgrain, tree bark, textured effects, toadstools, and oak leaves. We are sure we have left some behind, but you get the idea. 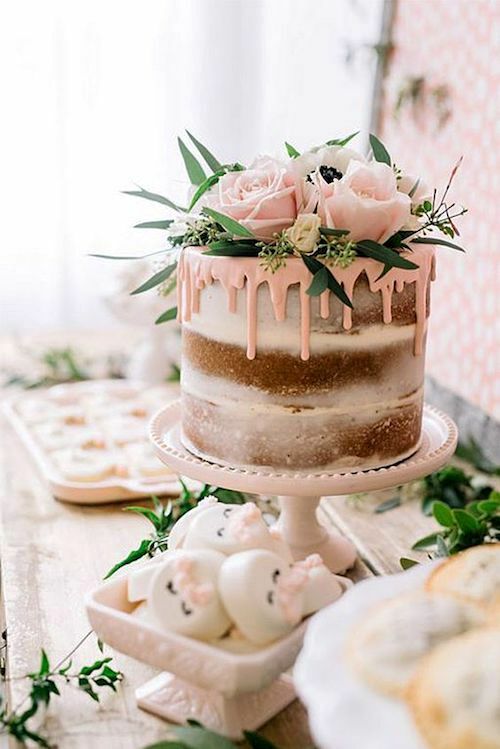 Get inspired by these buttercream, royal icing and fondant beauties that span through every single season and bring the forest into your wedding reception. Enchanted forest themed wedding cakes for the spring-time. Photo: Hillmountaintown on Flickr. 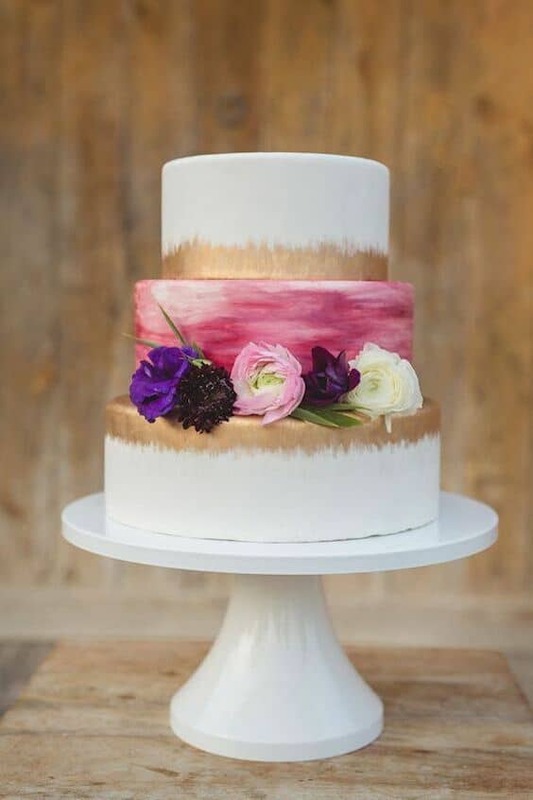 Pink, red tomato and ultraviolet pops of color on this naked woodland wedding cake by Adele Kloppers. 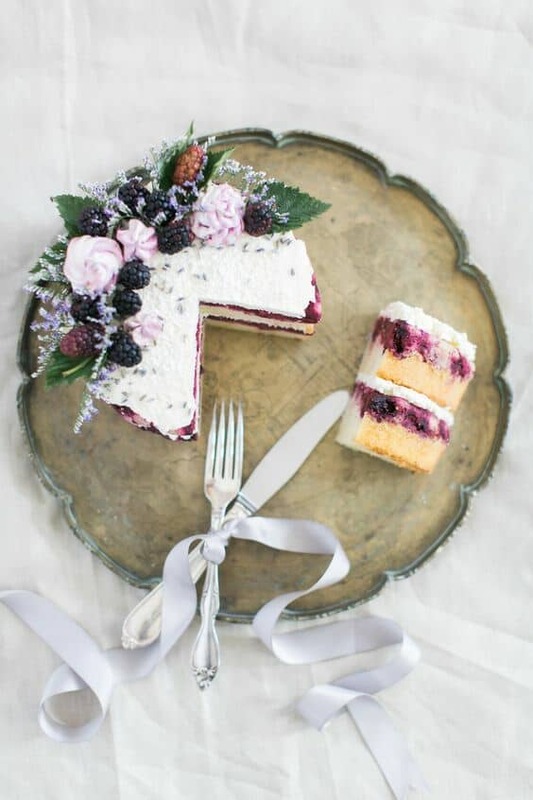 Delight your forest wedding guests with this blackberry lavender cake. 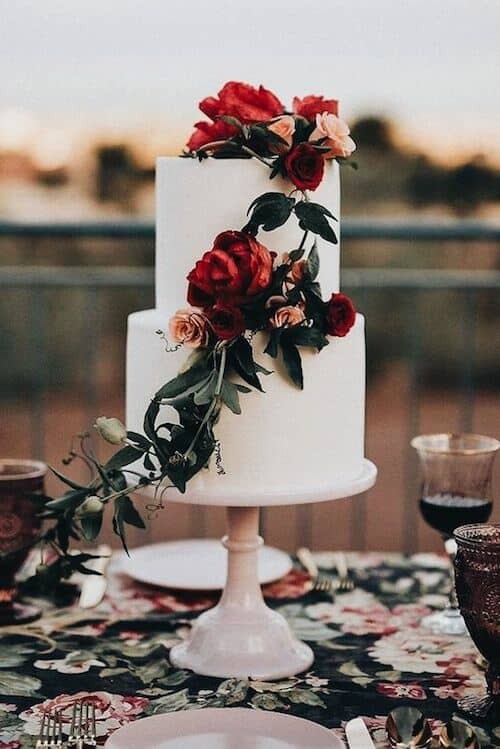 Naked buttercream and roses wedding cake. Cly by Matthew. 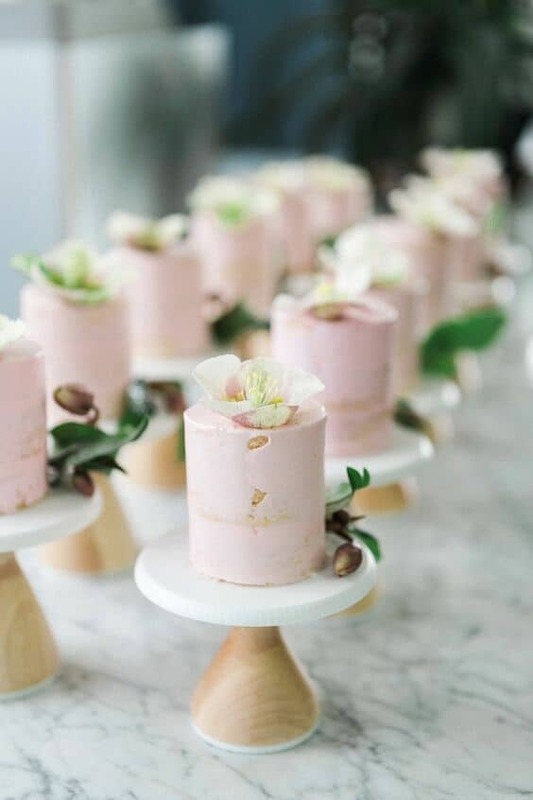 Small cute mini pale pink cakes for woodland weddings. 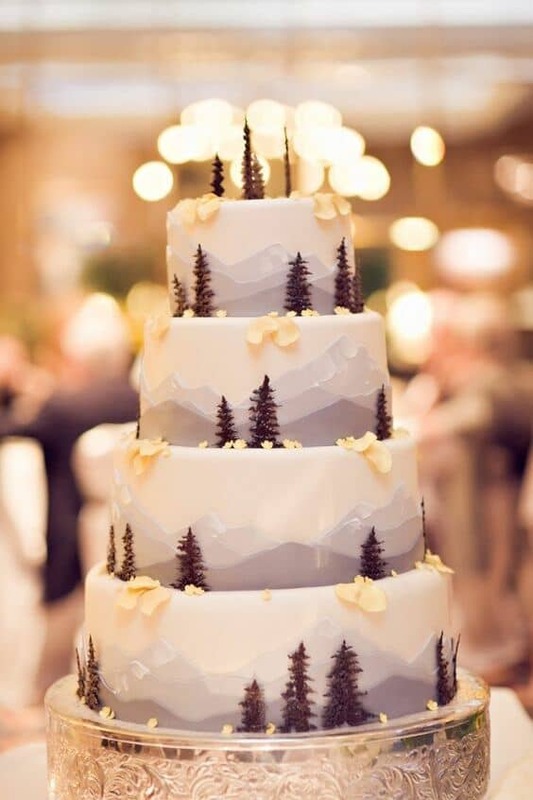 Rocky Mountain themed wedding cake. Real Photography. 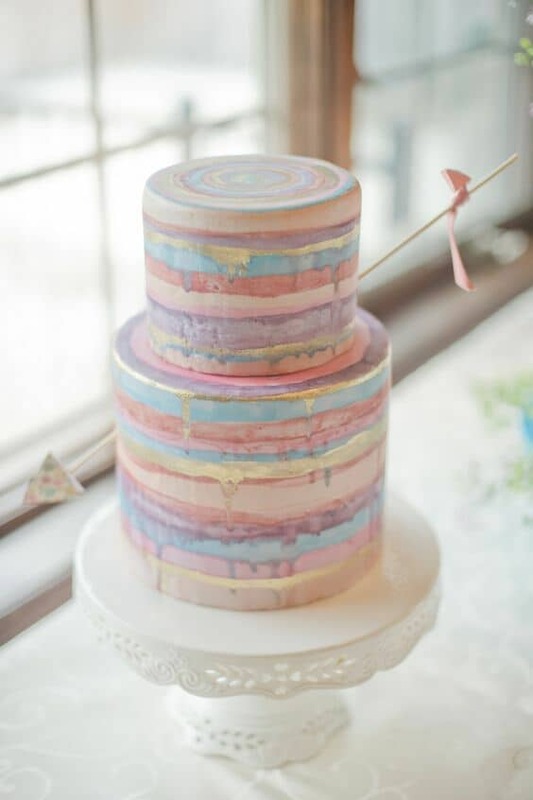 Sweet, chic and adorable pastel wedding cake. Sprucewood Shores. 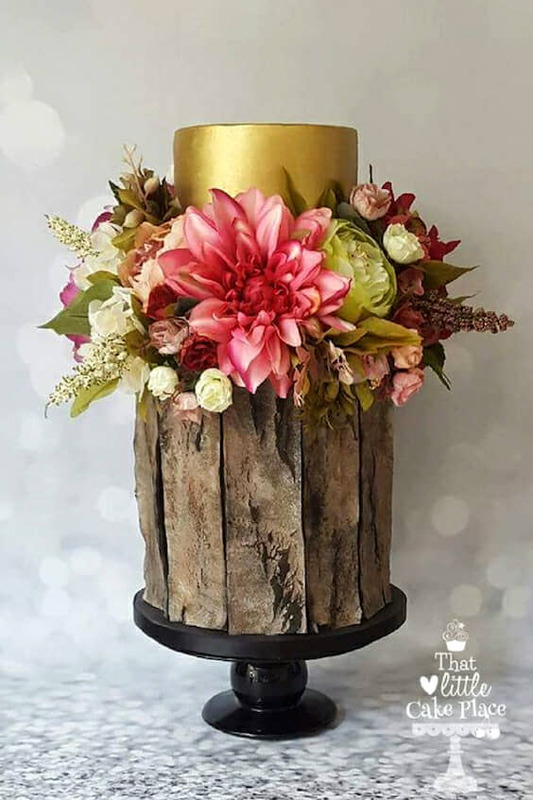 The tree bark gets glammed by the gold tier and floral flower arrangement on this wedding cake. That little cake place. 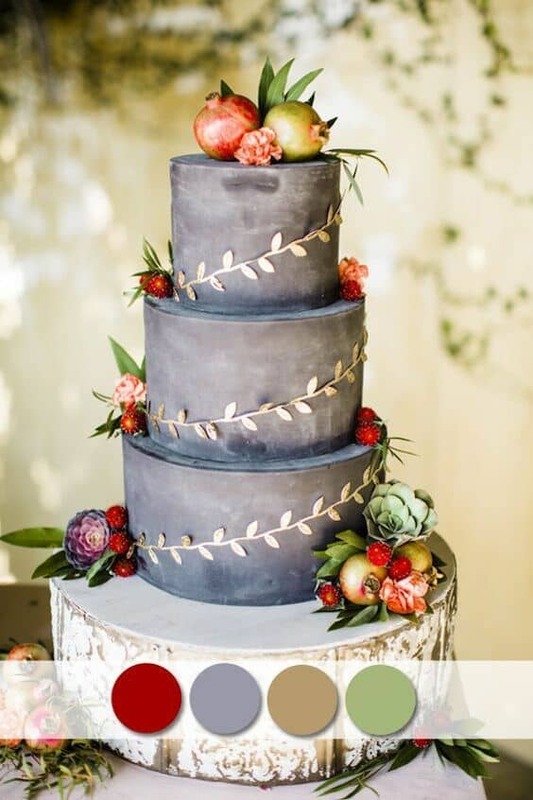 Three tiers of smooth autumn gray with succulents, berries and a delicate gold vine atop a rustic wooden slab. Watercolors. 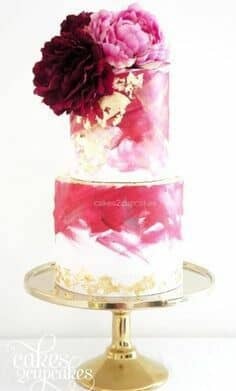 gold foil and ultra violet flowers for a summer forest themed wedding cake. Alyssa Turner Photography. 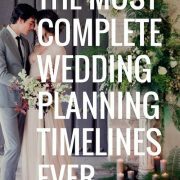 Now that we have our cake, why not get some inspiration with these woodland enchanted forest wedding ideas? Metallic wedding cakes, the sensation of 2018 weddings, can be a great fit for your woodland wedding no matter what season.